Drawing influence from phenomenons and the history of Sweden, for example the Witch Hunting between 1668-1676, for their release on Clan Destine Records, titled “Det Stora Oväsendet“. 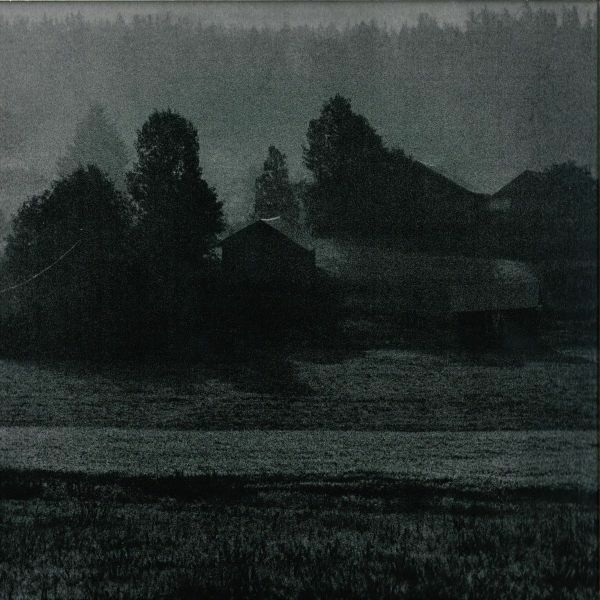 The cover features a picturesque, in our eyes any way, painting of Swedish countryside during that time – but what lingers in the dark is not known. When you know the topic for this particular release, everything becomes so much more gloomier and frightening, like the etchings of coal on canvas. This is one of their positives which make them unique, in more ways then what sound can offer. Their collective acronym is D.Å.R.F.D.H.S. – which spells out: Dard Å Ranj Från Det Hebbershålska Samfundet. A play with old Swedish words to create a fictive umbrella term for everything they do. Michel Isorinne and Varg (of Ulwhednar fame) are the sole proprietors of this imaginative collective, though we’d rather say they’re a “duo” – but that doesn’t sound bombastic enough. The topics they engage in seem to be less than fictional, taking most of their influence from obscure or overshadowed occurrences in Swedish history. 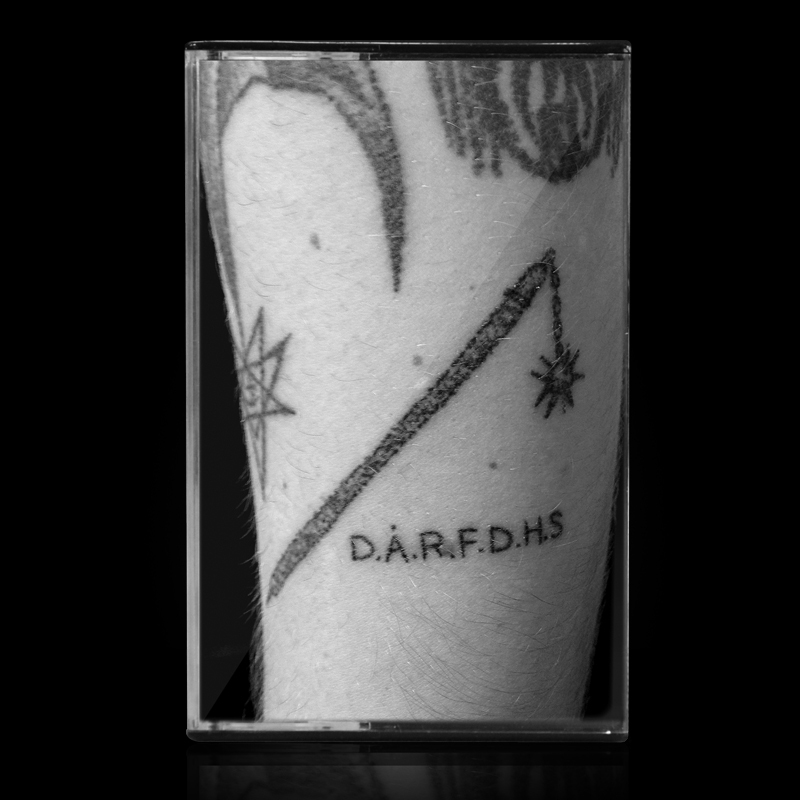 For their forthcoming release “Mjöldryga“, a tattoo seemingly portraying; inked in “D.Å.R.F.D.H.S.” on someones’ arm, one half of a scythe, plus a symbol of some kind, but mainly a flail that’s situated in the middle of the picture – all constitute the artwork for this album. For those of you that don’t know what “Mjöldryga” means, it means the following: (Secale cornutum) is a parasitical organism, a fungus that attacks different kinds of grown plants, including grain of different kinds. This is one part of the main theme of the album – but it goes into different perspectives, probably related to a more or less obscure happening in Swedish history. We’re thankful for them to be around to teach one about topics we as Swedes haven’t learned or didn’t care too much about. Intriguing. We at Repartiseraren can proudly present to you a track called “Bockahorn“, taken from the B-SIde of the release. It’s a twenty-minute long escapade that hides more beneath the surface than you can imagine. You don’t hear it the first time, but there are nuances in this dark ambient, experimental ambient trip into deep conscience, taking a long time to build with ambitiously created stages in sound. It’s like a playwright completely in sound, related to forgotten bits and pieces of history. Listen to it exclusively down below. It will get released on Beläten in the very near future and hopefully before the next year arrives.